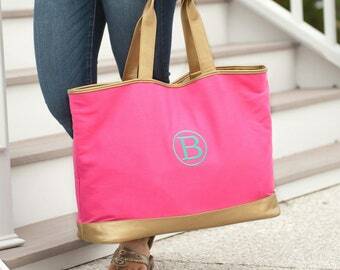 This overnight bag is both functional and stylish. 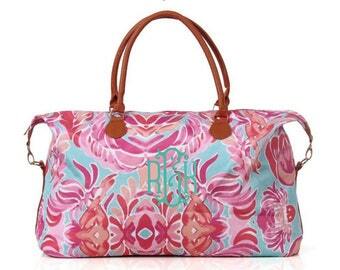 Pack it for a quick trip to the lake, the beach, for vacation, or even off to college in style! 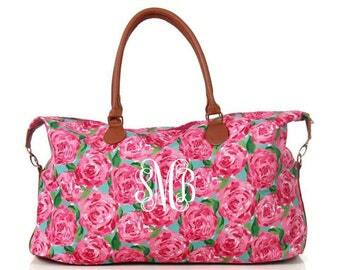 This also is perfect size to use as hospital bag for new moms!This weekender tote features Lily Pulitzer Inspired designer fabric in six pattern options. 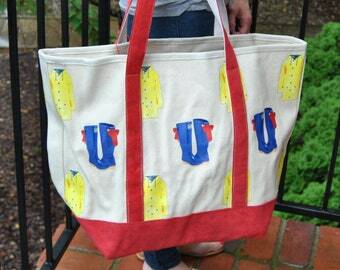 These bags measure at 22"W x16"H x 10"D . This gorgeous bag has a zip top closure, inside side-zipper and hook snaps on both ends. The Straps and bottom are faux leather in cognac color and all hardware are gold in color. 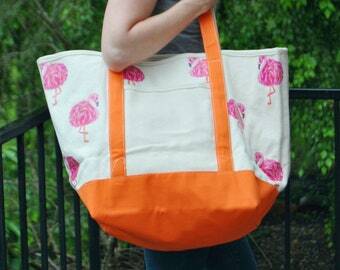 Can carry over the shoulder and is light-weight. 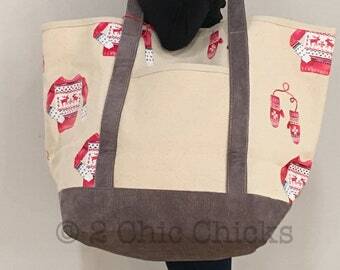 Also has two pockets perfect size for cell phone and zipper pocket on opposite side. 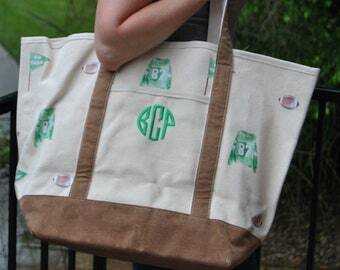 The Monogram is stitched on a commercial embroidery machine. Very disappointed. I bought two bags with monogramming, expecting to have a bag as shown. The monogram is only 4” tall and 4” wide so it’s very difficult to see. 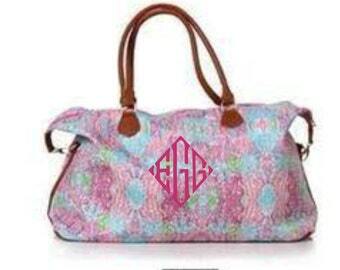 the monogram is high up on the bag between the handles. I wasn’t told this at all until I messaged the seller complain about the appearance of the bags. 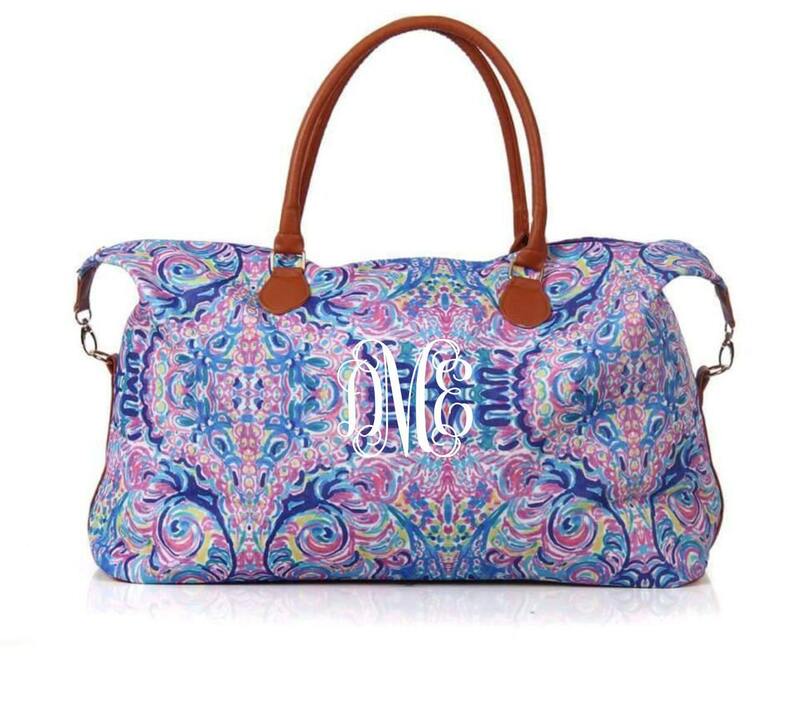 Had I known how small it would be, I would’ve just bought the bags plain and paid someone locally for a quality monogram big enough to see. 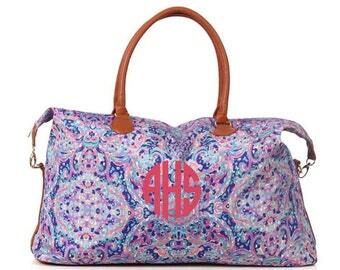 Now instead I’ll have to find someone to redo it and likely sew on a bow to conceal the old monogram. 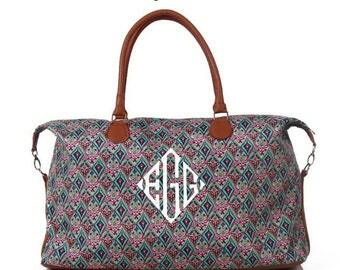 Love the monogrammed weekender! Someone gave it to me as a graduation gift, and I was getting so many compliments that I decided to order one for my best friend’s birthday. She loved it! I was on a bit of a time crunch, but I let the seller know and she made sure it was delivered on time. I would definitely recommend this product and this shop!